Find your lifestyle, browse Almaden Valley homes for sale. If you are looking for Almaden Valley homes for sale, you are in the “perfect location”. According to San Jose Magazine Almaden Valley is considered one of the best places to live in Silicon Valley. Being one of the most attractive San Jose residential neighborhoods, this South San Jose Community is highly distinguished by hillside views and considered “one of the most gorgeous landscapes in America,” according to the Greenbelt Alliance. If you are looking at real estate in south San Jose CA, I highly recommend taking a look at the lifestyles this community has to offer and I would be happy to introduce you to them. Located in the southwestern portion of San Jose, this beautiful neighborhood is west of Santa Teresa, southeast of the town of Los Gatos, and at the southern end of Blossom Valley. Almaden rests between rolling hills and the Santa Cruz Mountains. The peak of Mount Umunhum is located to the west and is recognized by the box that sits at the top of the summit. 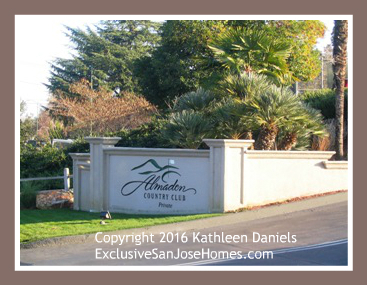 Almaden boasts the prestigious 95120 zip code. According to census data, it is home to an estimated 37,000–40,000 residents. The community is considered an upper-class residential location and a family oriented neighborhood. It is known for its highly acclaimed and distinguished schools. Many homes are owned by business executives and local professionals. The parks and trails are naturally beautiful and the home of many species of wildlife. 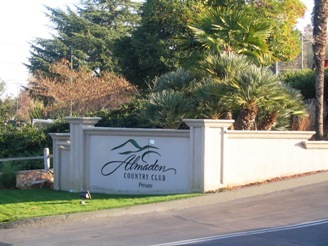 You’ll also find the Almaden Golf & Country Club here – the host of many LPGA Tournaments. The community got its name from the Almaden Mine in Spain. 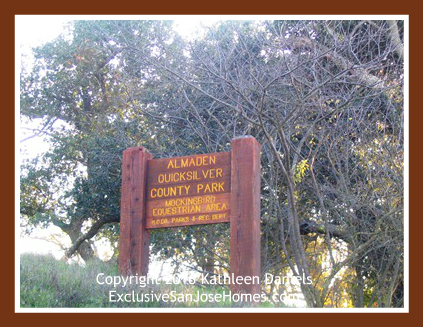 In 1975 the old quicksilver mines were closed and became Almaden Quicksilver County Park which is one many public recreational sites. The Quicksilver Park boasts plenty of hiking and biking trails and a spectacular wildflower display during the springtime. Another very popular recreational site is Lake Park. It is the only city park in South San Jose that has a sandy beach and swim area. A popular request for all areas in San Jose is ranch style properties. Many families are now multi-generational and parents come to live full or part-time with their children. Single story living can make this far more comfortable if you have aging parents staying. Here are the available ranches you can buy today. If you wish, we can add you to our email list to be notified of newly listed ranches as they are in demand. Make your request below in our contact form and be sure to let us know all the areas of interest in San Jose. If you are interested in new construction in Almaden, please reach out to me directly. I can let you know what is available in young in age properties. I also serve buyers looking at homes for sale in Willow Glen, Cambrian, Downtown Campbell, and Blossom Valley. I’m ready to answer all your questions and go to work in finding you the perfect luxury or hillside property, with acreage if you need. If you need to sell your property then call me at 408-972-1822. The sales process starts with a conversation. If we “click” it may make perfect sense that we work together in the sale of your real estate. Together we’ll take a look at comparable homes sold in Almaden Valley and the current state of the local real estate market. We’ll review my extensive marketing plan for luxury residential property.